Today we ask that you calm down. Many of you enter the work week in a state of agitation and trepidation. You imagine all the things you must do. The tasks to perform, the emails, the phone calls, the errands, the assignments, the chores, the conflicts, the grievances, the annoyances. Collectively all these worries settle like a layer of grease upon the consciousness, clouding vision, and creating nervous tension within the body. This “grease” can then in turn trigger nervous and impulsive actions: the hasty email, the reactive phone call or conversation — which triggers even more stress and drama. One of the single best things any human being in the midst of modern existence can do is just calm down. Reach down and touch your toes. When feeling the need to take some impulsive action — to fire off that email, or make that complaint, or rush into that decision — STOP. Stop, and take a breath. It can wait a few minutes. If you need to, set a timer. Five minutes. Five minutes is long enough to calm down. You may find that the desire for impulsive action will be greatly diminished after a five minute cooling down period. 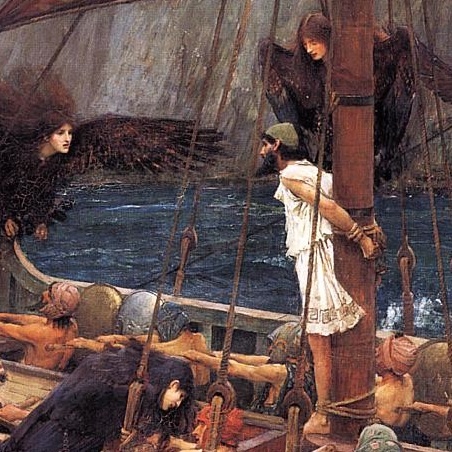 Sometimes, like Ulysses in “The Odyssey,” it is essential that you tie yourself to the mast of your ship, and thereby stop yourself from following the Sirens’ Call of impulsive action that will lead you on to the rocks. Knowing how to calm down, at will, even in the face of heat and drama, is one of the most intelligent, useful skills any human being can cultivate.